Established in 2003, ERAETECH Co., Ltd. (www.erae-tech.com) is a small giant in the field of automation systems and motion control. Anchored by their 30+ years of experience and accumulated know-how in the field of motion control, the company is in the business of developing and selling stepping motors, drives and controllers, BLDC drives and controllers. The company’s signature product, the stepping motor, is a core component for machinery used in factory automation for CCTVs and robots, among others. Drivers and controllers that control speed and position are key. Once dominated by Japanese products, ERAETECH’s successful efforts to localize the stepping motor has had a significant impact on the domestic stepping motor market, as, in the past, Korea’s motor market was carved out almost entirely by Japanese companies such as Oriental and Tamagawa. With ERAETECH’s localization efforts, Korean companies no longer need to rely on these brands. ERAETECH has compensated for the disadvantages of stepping motors by developing a closed loop control system as in a servo motor. The motor, encoder drive controller, and communication IO have been unified, making it technically superior to any other competitor. With motors, precision is important, of course; moreover, performance depends greatly on how fast the speed can get and how much torque it contains. In this respect, the product is ahead of the competition. 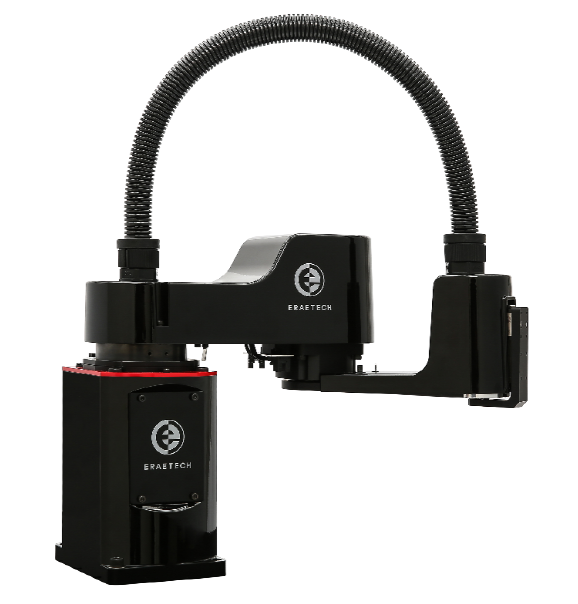 Armed with superior technologies including their stepping motors, ERAETECH is actively pursuing overseas markets. The company has increased their visibility by taking part in numerous global events such as the International Robot Exhibition, iReX, in Japan and the International Robot Exhibition in Shanghai, China. The company is also actively pursuing ventures into completed robots, as a way to overcome the limitations of being a company dealing only in parts. As a result, the company has plans to move into the articulated and delta robots markets. As a part of these efforts, ERAETECH has developed and is actively promoting their small SCARA robot 'Unice'. Unice-200-30 is a compact SCARA robot equipped with a stepping motor and a speed reducer. The robot features a 2-phase stepping motor, a 18-speed reduction gear, a cross roller bearing, RS485 communication support, and a full closed loop system. According to a company representative, the product is intended for “those who didn’t necessarily need to use a SCARA robot for their application but went ahead to purchase an expensive one for use or those who couldn’t install a SCARA robot due to space restrictions.” The bottom line is that the company’s SCARA robot is cheaper than existing SCARA robots and offers good space utilization. This robot uses a closed loop stepping motor, unlike conventional SCARA robots, which use a servo motors. It has advantages in terms of price and space utilization over existing SCARA robots. The company also offers a teaching program for its customers. 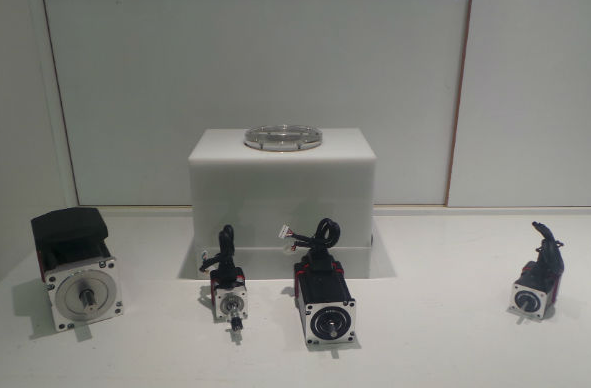 ERAETECH has shown their determination to launch into the Chinese market by exhibiting their recently developed SCARA robots and stepping motors at the Korea Robot Center (KRC) operated by Korea Institute for Robot Industry Advancement at Xiaoshan Robot Town in Hangzhou, China.